Pistols have limited utility in the military, and the military does not typically excel at teaching their employment. However, the special operations community is a slightly different animal in this regard. The USMC Special Operations Training Group’s intense, CQB-focused “Dynamic Assault Course” was where I first formally trained in the fighting use of a handgun. Because our M1911A1s in .45 caliber played backup to our carbines in room-distance fights, and because we would “go hot” with them in the 360-degree shoot-house, mastery of the weapon was critical. This mastery began not at the range, but in the team room. I vividly recall a certain Gunnery Sergeant telling us new shooters, “I can teach you how to shoot this pistol without you ever firing a shot. All bullets are going to do is show you what you’re doing wrong.” This is an axiom that I have found to be more or less true and live by to this day. Since those long, sweltering days filled with thousands of dry hammer clicks in the Camp Lejeune humidity, dry practice has remained a huge portion of my training regimen. I’m sure many readers of Lucky Gunner already dry practice. If you aren’t dry practicing, I hope the following paragraphs will convince you otherwise. If you do dry practice, I hope to give you some meaningful tips on how to get the most out of it. While writing this article, I had the tremendous good fortune of spending almost two hours talking to John Hearne. John is, among other things, a federal law enforcement officer, FLETC firearms instructor, Rangemaster instructor, and has a self-taught wealth of knowledge on how the human brain learns new tasks. John has developed quite an intense curriculum on the science of learning as it applies to firearms. He was kind enough to share some information with me for this article. I will not attempt to replicate John’s entire talk here, but I do want to share some of his points. The brain internalizes new skills, like riding a bike or playing a violin or shooting a revolver, through a progression of development, maintenance, and automation. The development phase of this process occurs during training. When you train, neural pathways develop in your brain that allow you to reliably repeat a given action, like drawing your pistol. The maintenance of skill comes through practice. As you practice a skill, you send a signal to your brain that says, “hey, this is important!” The brain responds by coating the neural circuit utilized in that skill with a fatty substance called myelin. Myelin reinforces the circuit and allows signals to travel faster in the brain, which translates to faster and more reliable physical performance. Because myelinated pathways become proverbial “paths of least resistance” in the brain, your brain front-loads these actions. End result: you have an easier time performing them on demand. My talk with John Hearne wasn’t about dry practice specifically – it was about mastery of a skill to the point of automation. Automation is an entirely different level, and reaching the point of automation is the desired end result for any skill you have to perform under stress. Automation is what some might casually refer to as “muscle memory.” When I was in the military, automation was explained rather clumsily in a PowerPoint presentation as “subconscious consciousness,” or the brain knowing what to do and causing an action to be performed without conscious thought or effort. Famed NYPD gunfighter Jim Cirillo recalls an instance in which he vividly recognized automation in action. During his first fight as a member of the Stakeout Squad, he wondered who was firing his gun. Upon receipt of the correct stimulus (a bad guy with a gun), his gun had been drawn, presented, and was firing without his having explicitly thought about it. Automation can spare life-saving fractions of a second under intense pressure. Think of automation as a form of stress-proofing. Automation can also insulate a skill from the ravages of degradation. Degradation, or the deterioration of a skill, is most severe under two circumstances: stress and lack of maintenance. Fine motor skills are some of the first to degrade under stress (as we have all heard ad nauseum). This does not mean that you cannot perform fine motor skills in a fight – you can! And the surest way to keep this ability on your side is by practicing these skills to the point of automation. Skills that have been automated by the brain degrade to a much smaller degree than skills that have not. Again, automation serves as something of a stress-proofing apparatus. Degradation also becomes more prevalent with a lack of maintenance. The more recently you have practiced (maintained) a skill, the more accessible it will be to the brain. Because the brain has “front-loaded” the skill, the more readily you can perform it. The reverse is also true. If you haven’t practiced in weeks or months, your skill has degraded and you will have a harder time performing it on demand. This is an obvious reason to practice defensive firearm skills. The more recently you have practiced, the faster and better you will perform when you have to use it. There is one more major benefit to automating a skill. After a skill has been automated by the brain, it is retained forever. This might even be the biggest single benefit to investing in automation. I don’t mean to suggest that the skill won’t degrade at all, but it will only degrade to a certain point. You may have noticed this with other skills you have. If you have been a carpenter for 20 years, you have doubtlessly automated the process of driving a nail. If you stop now, in 20 more years your brain will still remember how to drive a nail. Sure, you won’t be as smooth as you were, but with just a few practice sessions, you’ll be right back to your baseline level of skill. Imagine having that level of competence with a handgun – now and forever. This all sounds pretty good so far, right? But how do you automate a skill? It helps to have a well-defined aiming point when dry practicing. The printable scaled-down competition targets available from benstoeger.com are a useful resource. There are no shortcuts to automation. It requires time and repetitions. When I say “time”, I don’t mean long individual sessions, I mean cumulative time over weeks, months, and years. There is no substitute, no magic training course, and no shortcuts that can replace time. 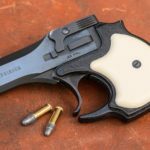 This is why shooters who attend a five-day pistol course and fire hundreds of rounds find that, a couple months later, they will have degraded back to where they were before they went. Though a long course like that provides a lot of repetitions, it doesn’t have the element of time on its side. The next ingredient in an automated skill is repetitions. During our talk, John made one point crystal clear: a massive number of repetitions is required to automate a skill. How many? No one can answer that definitively, but let’s say it’s probably somewhere in the six-figures. 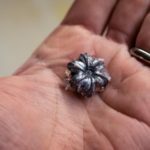 Most of us just don’t have the resources to do that many repetitions with live ammunition, and this is where we finally get around to talking about dry practice. What Does This Have To Do With Dry Practice? I know, you’re probably wondering why a dry practice article has been talking about “myelination” and a bunch of other science-sounding stuff. The bottom line is this: automation can help make you faster and give you better kinesthetic index on the gun, make you more reliable under stress, protect your skills from degradation (both short and long term), and keep your skills front-loaded for immediate use. Dry practice can allow you to get in the hundreds of thousands of repetitions necessary to build automation, and it can keep your skills current. The best part about dry practice is that it doesn’t cost much. Ammunition is expensive, and putting those kind of numbers downrange is a costly proposition. Since I no longer have ammo provided to me, it’s out of my reach. But dry practice is essentially free. I made a one-time investment in a couple dozen snap-caps. Everything else – holsters, magazines, speed loaders, gun, timers – are things I already own and use. 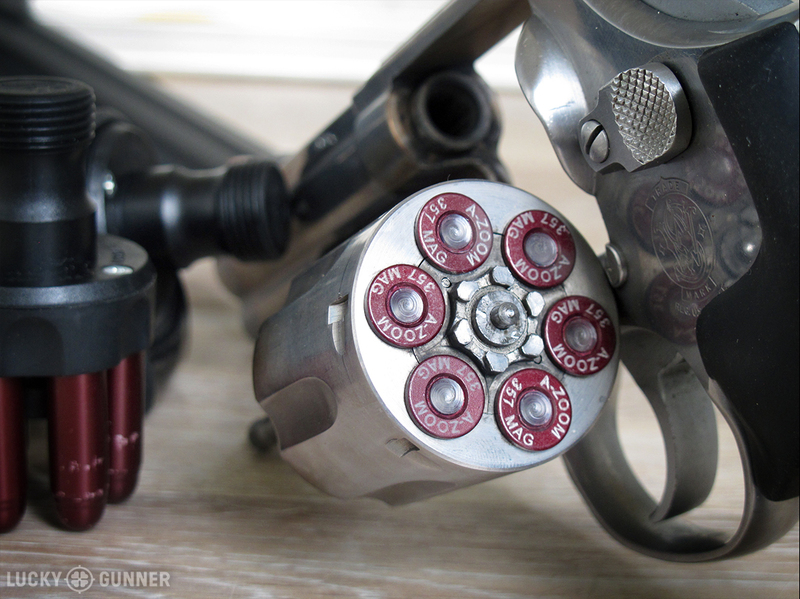 As you know, I’m a revolver guy, so if you shoot a self-loader, a slight additional investment in a resetting trigger or a training substitute like the SIRT might be desirable, but this is a one time, upfront expense. You also don’t have to pay range fees, buy targets, or spend money on other ancillary costs of live-fire training. Next, dry practice can turn a few extra minutes in your day into an excellent training opportunity. You don’t have to get in the car, spend precious minutes on the road, and spend time signing in at the range, setting up, and cleaning up. This is because you don’t need a range. All you need is a safe backstop that will stop a bullet (we will address safety much more thoroughly next week). All of this time savings means more time spent actually maintaining your skills – not driving and doing other ancillary tasks. Because you can dry practice almost anywhere in any available window of time, dry practice also allows you to stay current with your skills, which keeps them “front-loaded” and ready. 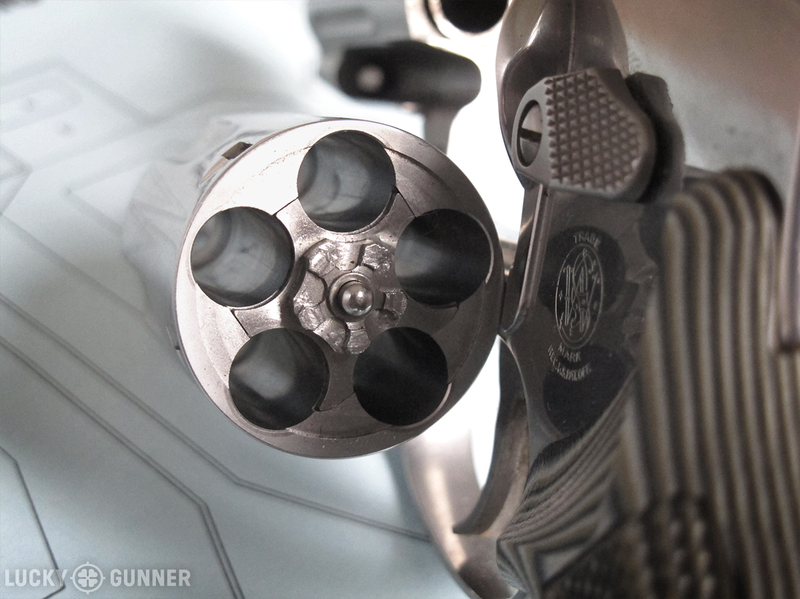 While not strictly necessary, snap caps can protect your gun’s firing pin, which is the part most likely to break as a result of extensive dry practice. 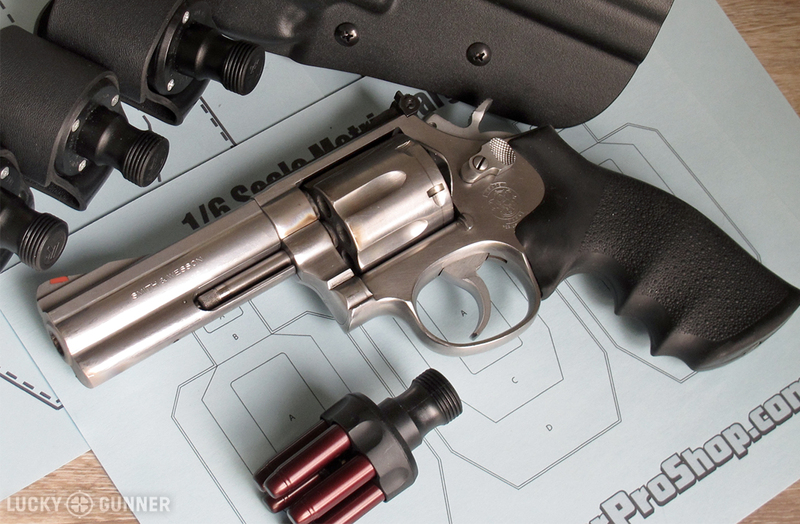 If you are a brand new shooter or are training one, dry practice can be incredibly valuable. Dry practice allows one to work on the mechanics of operating a handgun without the myriad distractions present on the range. Going live can be intimidating to new shooters who are now having to deal with noise, recoil, muzzle flash, the encumbrances of ear muffs and shooting glasses, and brass from the next shooter over. If you had your choice, who would you rather take out for their first range trip: the person who has spent a solid hour learning the basics of grip, stance, sight alignment and sight picture, and trigger control in dry practice, or the person who hasn’t? I know who I’d rather take. I can also say pretty definitively who is going to have a more positive experience and get more out of the session. Social Proof: Who Dry Practices? The military, for one, uses dry practice. I have worked in and around the special operations community for many years. Dry practice was an important part of being a “shooter” when I was in the military, and it is an important part today. Serious competitors also dry practice, and Ben Stoeger is an excellent example. 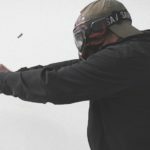 Mr. Stoeger went all the way to IPSC Grand Master on 5,000 live rounds. The rest of his repetitions came from a whole lot of dry practice. An even more shocking example is the 1977 Rhodesian IPSC team led by Dave Westerhout. Due to extremely oppressive firearms regulations in Rhodesia at the time, each team member only had ten – yes ten – rounds of live ammunition per practice session. What they also had was an unlimited supply of time to dry practice. Rhodesia won the 1977 IPSC World Handgun Shoot, with Westerhout winning the individual gold. Dry practice isn’t range time, but it also isn’t just a “next best thing”. Even if you have a range in your backyard and can afford daily live fire, you can probably still benefit from some dry practice here and there just because of its efficiency (we’ll talk about that next time). If you’re like most of us, you probably don’t have a range and an infinite supply of ammunition always at the ready. This means we are sometimes forced into doing what is good for us – like eating your vegetables. Is it as fun as busting beer bottles or running through an IDPA stage? Definitely not! But it is a true, measurable skill-builder that has the potential to majorly impact your long-term skills. Stay tuned – next week I’ll talk about how to structure your dry practice session to get the most out of it.